Learning how to cook really great food requires a look at the most basic recipes. There are many secrets in the culinary arts that chefs learn at school and they often apply to the simplest of foods. How to mix dressings, cook a perfect steak, and make great rice -- these are all things you might learn at culinary school. Even if you think you have these recipes nailed, a few tips and tricks will cause you to re-examine what you know. One thing you learn in the kitchen is that you never stop learning. Sauces and dressings are quite often the keys to great food. 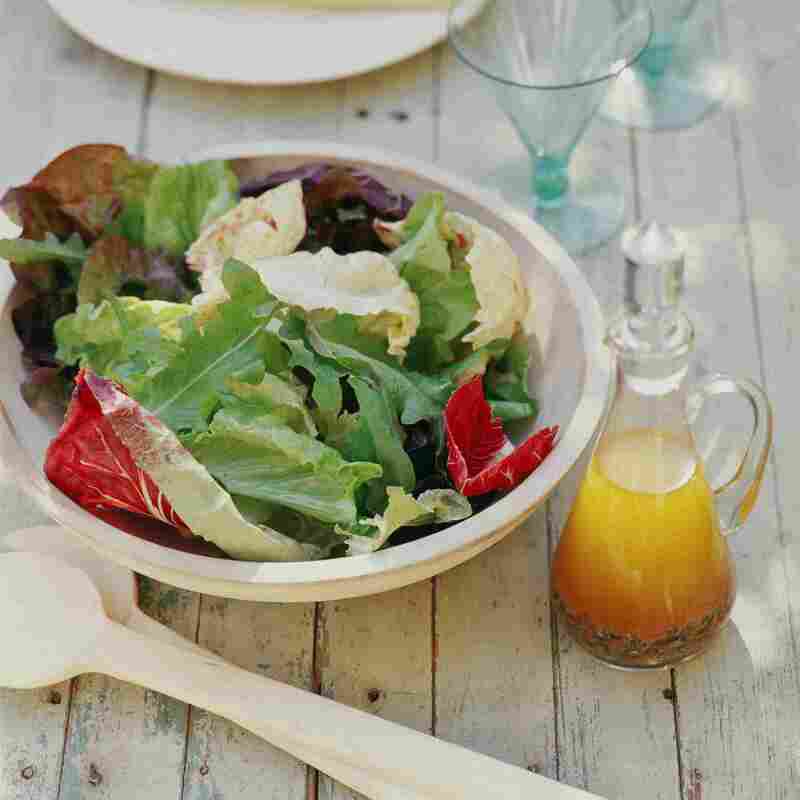 If you can understand how to make a great vinaigrette, you will understand the elements and requirements that go into other dressings. This is culinary school 101 and you can take this vinaigrette recipe in any direction you like once you know the finer details. Many chefs agree that a basic rice dish is one of the hardest things to master in the kitchen. It seems simple enough, but it's very easy to over or under cook your rice. While it may be edible, it will not be the mark of a true chef. Risotto is one of the most challenging rice dishes for new chefs and there is a traditional method as well as a shortcut used in many restaurants. To begin, you should learn the 'right way,' which does take longer, but it's worth it. Rice pilaf is a little easier, but there are some tricks to this lightly spiced rice dish that you should know. Most importantly is your choice in the pan because it must be worthy for both the stovetop and the oven. You will get a lot of practice chopping vegetables as you learn to make ratatouille. Four, five, or more vegetables may go into this dish and there are many directions you can take it. It is essential for learning how to perfectly saute veggies, a skill you will use over and over again. Cream-based soups are essential in any chef's repertoire and, again, there are a few tricks that will help you along. This easy Potato and Leek Soup will run you through the basics of preparing the vegetables, pureeing them in a blender, and finishing it off with the perfect amount of seasoning. Chicken is a tricky meat to cook and the more practice you get with it, the better. It's very easy to undercook or overcook and neither is a desirable result. Chicken Marengo is a classic French recipe that is an ideal introduction because it uses thinner filets of chicken breast. It's also delicious so you can reap the benefits of your experiments. Many home cooks swear that they can grill the perfect steak, it's a matter of pride. Yet, those same people will head to a restaurant for a great steak because chefs have studied this meat and learned how to truly perfect it. Not only will you find tips for grilling a great strip steak with this recipe, but you will learn about compound butter which is another culinary school essential. During your steak training, give the Bearnaise sauce a try as well. A great chef can never have too many sauces in their arsenal. Can You Make Creme Brulee? Ah, creme brulee. It is a culinary school staple and rather fun to make because you get to play with a torch. Though this custard dish is easy, it is also easy to mess it up and other chefs will be very critical of any creme brulee put in front of them. Do yourself a favor and learn how to make this one with perfection. We have not discussed baked goods because that is an entirely separate topic of conversation. However, it would serve any chef-in-training well to learn how to make a basic pie crust. There's a lot of science that goes into it in order to create either a flaky or a mealy crust for different dishes. Even if you're not going to bake a sweet dessert pie, this tutorial will provide valuable tips for any savory pie dishes you make in the future.